Click on the link for high water mood music as you check out the photos. It is an MP3 file, ripped from Our New Orleans 2005. It was produced to raise funds for Katrina victims, who are still dealing with flood damage. Also please make a contribution to the Sandy victims. They have a long way to go. 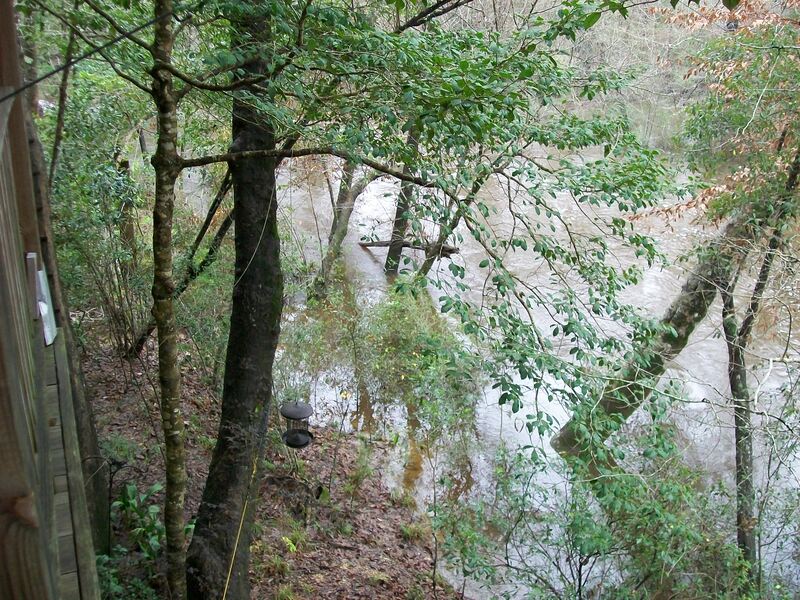 The crossways log is suspended about 10 feet from the creek bottom during normal flow. Well, what is normal anymore? 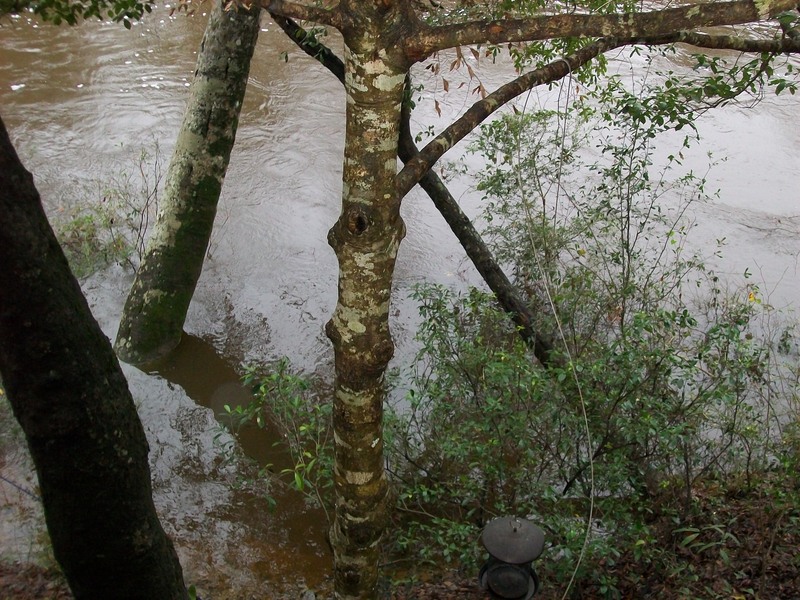 The leaning, partly submerged tree sits on the creek bank edge during dry times. You can see the water creeping towards our concrete pad under the house. Another view from the back deck. Mr. Mike dragged my plant supplies to the front entry just in case the water flooded beneath our house. 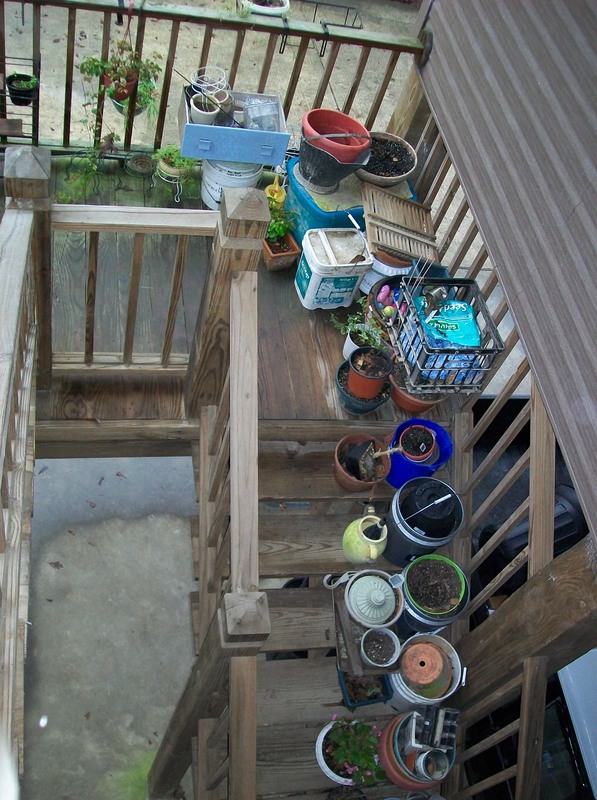 The garden supplies are still a mess from Hurricane Isaac. 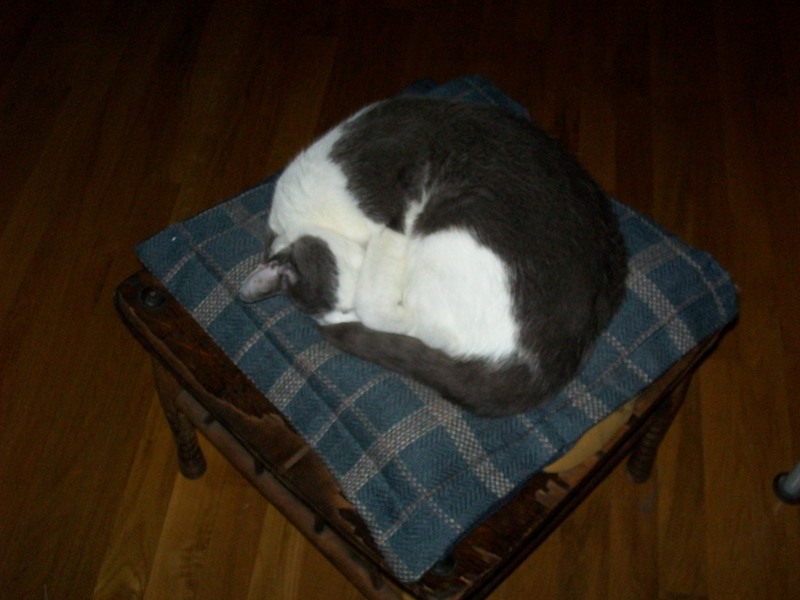 Scrounge Cat #1 slept through the whole thing – think he cares? 1. Prepare rice using your normal method. 2. While rice cooks, add oil to a large skillet or Dutch oven over medium high heat, swirl to coat. Add onion and saute 5 minutes or until tender, stirring frequently. Stir in garam masala, cook 30 seconds, stirring constantly. 3. Add chickpeas (cook first if using dry), tomatoes, and spinach. Cook 2 minutes until spinach wilts (if using fresh). It may take another 2 minutes or so if using frozen. If using diced or some “whole” type canned tomato, break up the tomato with a spoon as the mixture cooks. I’ve made this two ways and both came out fine. 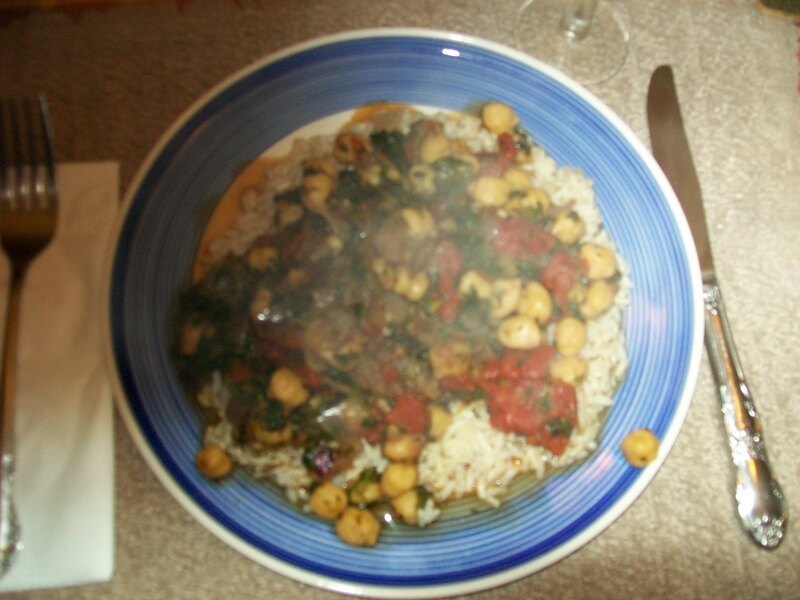 The alternative is to add the yogurt or sour cream on top of the chickpea mixture when serving. It separates the creamy flavor from the rest of the curry. Note: Louisiana 1927 is one of our fave slow dance songs. Love the musical accompaniment! So satisfying!